Bill Shankly, OBE, is best remembered for his time as manager for Liverpool FC. In a graceful homage to the Scottish football legend, the Shankly Hotel in Liverpool offers luxury rooms and studios at a very reasonable rate. 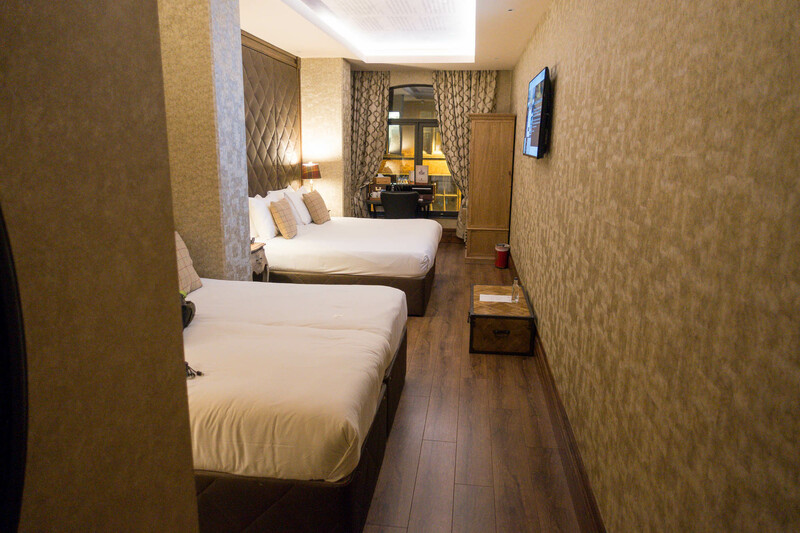 The rooms available at the Shankly Hotel are simply stunning. Our first impression of the room was its spaciousness, and how elegant and beautifully decorated it was. Calming beige tones and soft furnishings gave the room a comfortable feel. From the gorgeous hardwood floor to the quilted walls, the room was very purposefully designed to offer maximum luxury. 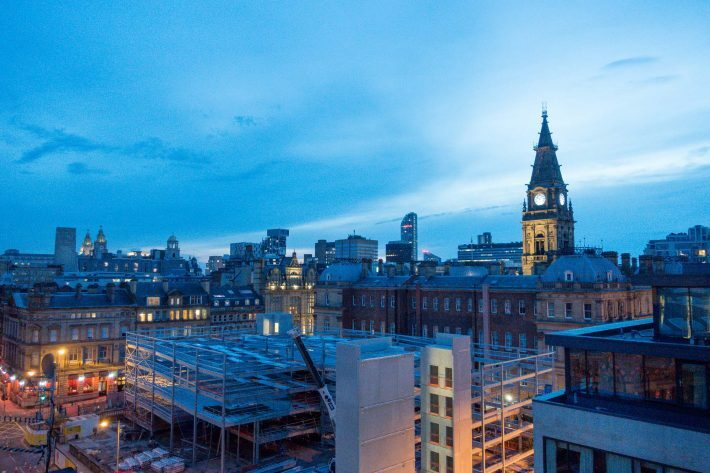 It’s ideal for a premium escape, set in the centre of a bustling city. 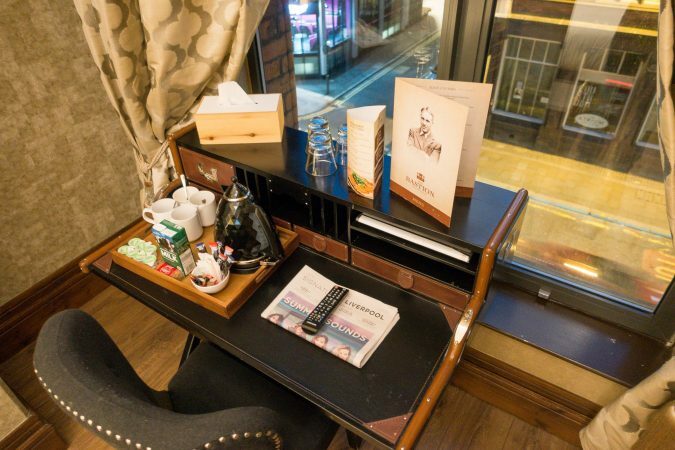 The room also included a classy desk positioned ideally for taking in the window’s cityscape view, perfect for those who want to take a little work with them. With a range of interconnecting rooms, this hotel makes a great place for group or family functions, and caters specifically for weddings. The Shankly Hotel has all the basic modern amenities we’ve come to see as essential. We had a wall-mounted flatscreen and free Wi-Fi to take advantage of. Better yet, we also had a private jacuzzi! What better way to unwind than with your own personal spa? 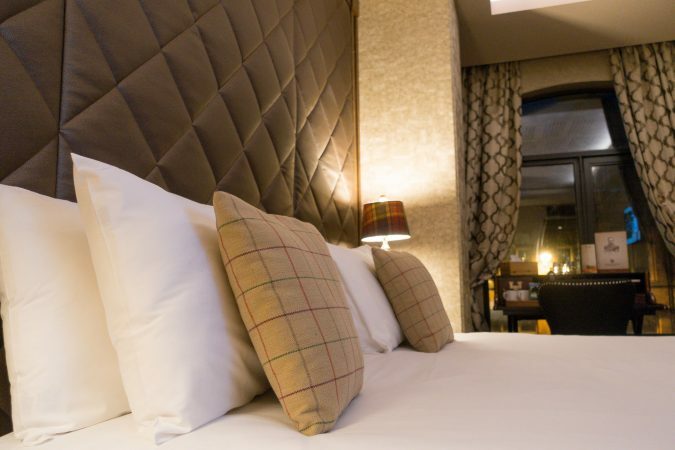 If the luxury furnishings of the room don’t get you reaching for your wallet quite yet, the Shankly Hotel boasts great views of the city from its rooftop garden – a perfect place for a cheeky tipple in the evening. The luxuries don’t end with your room. The hotel has a beautiful bar and restaurant, The Bastion, which follows through with the classic feel of the rooms. 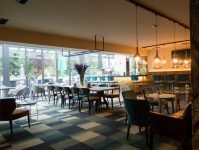 Leather seats, quirky furnishings and beautiful earthy tones are in abundance in the drinking and dining areas. With a range of amazing food and drink available, The Bastion offers a premium culinary experience. The Shankly also offers a scrumptious afternoon tea loaded with fresh sandwiches and pastries. The Shankly Hotel celebrates a slice of Liverpool’s history in style. The classic decor is elegant and welcoming, both in the rooms and in the dining areas. 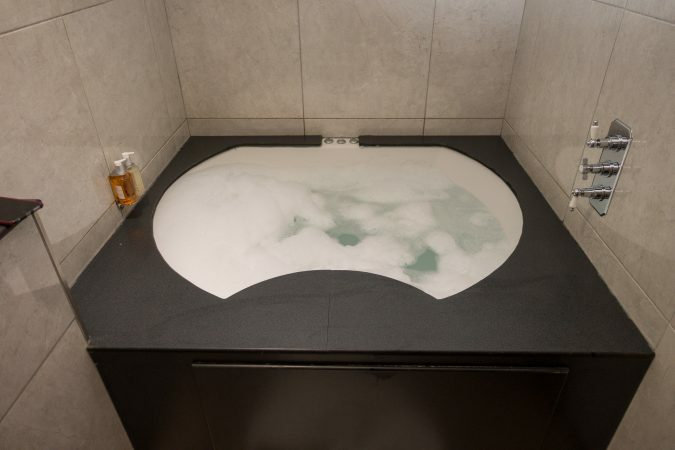 Rooms are luxurious and stylish, and most come with a private whirlpool jacuzzi to be used at your leisure. Prices start from just £99 per couple, and considering the luxury feel of the hotel, it’s a price well worth paying.